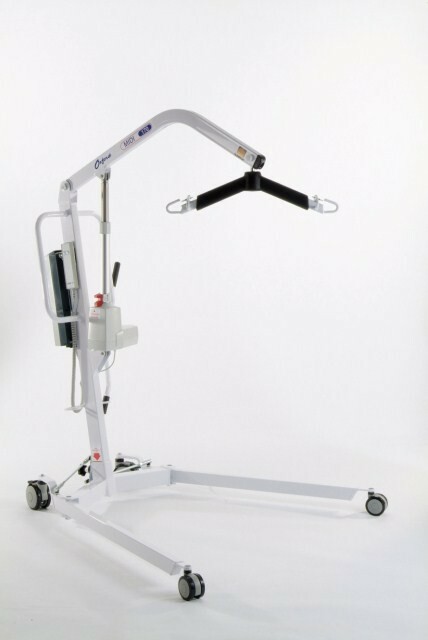 Oxford Midi 170 Electric Hoist Versatile Performance. Removable battery pack allows safe recharging of the battery away from the hoist. Easy push, low profile castors provide clearance under most furniture and over a variety of surfaces. The boom is angled to assist with lifting from the floor. A large push handle helps steer the hoist with ease. Hand held control promotes independent patient use so the carer has both hands free to provide support. Features an emergency lift and lower function.